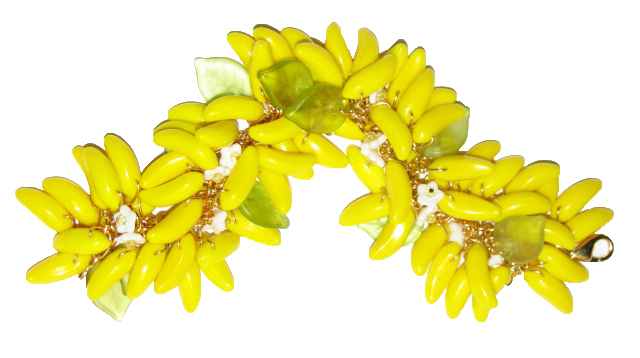 Tons of bananas bracelet! As featured in ElleUK Magazine! 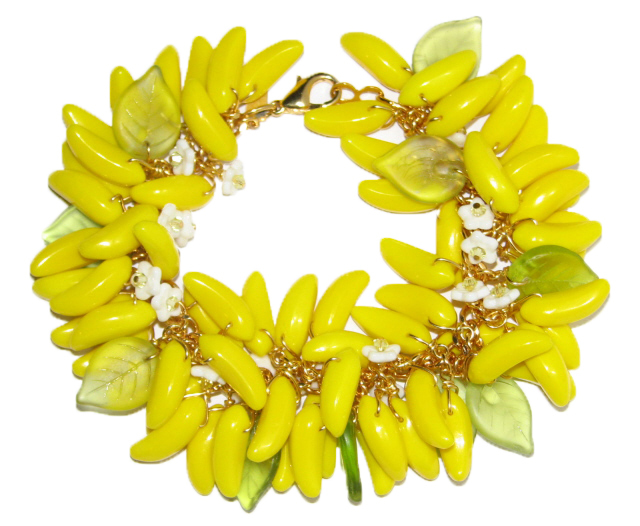 This is a huge heavily beaded banana bracelet made with glass bananas, leaves and blossoms with each bead individually handwired onto gold plated chain, gold filled engraved Julia Bristow tag. (Please note item shown is example and your piece will vary slightly as each is a one-of-a-kind creation made at time of order.) There are two currently available!